For the past few months I have been working with Ellen Berkovitch on an exciting new media project. Adobe Airstream will be a state-of-the-art new media website providing unique content about art, culture and design in the West and Southwest. Independently, Ellen and I came up with very similar ideas and decided to collaborate. She’s done more of the technical work on making this possible and should earn kudos for becoming a high tech guru! Most importantly, Ellen and I both believe that there is a plethora of content that is overlooked and underprinted about art and culture in the Rocky Mountain West and Southwest. We want to focus on the stories that deserve to be told and provide video, podcasts and slideshows of all that is great about the West. As Ellen said: “Culture is where we have the great conversations. The west is where we live and work. And new media is just so cool. Please join us, all you citizens of culture, for our new new media look at culture in the west. And don’t forget to comment early and often. We will have RSS feeds and email sign up soon. The blog is our interim under-construction site, hence the hardhat. The first phase of the website will launch June 1. But we want you to have a taste of the kind of content we hope to provide and we want to hear from you about the funky little places and cool artists making work in this–the spine of what is commonly called the flyover. 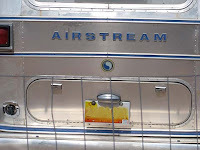 I am pleased to announce adobeairstream’s fledgling blog. Click here to preview adobeairstream. I’ve always liked the ides of March and so here we are, right on track with daggers and cycles of history. One thing about emerging from stagnation: always keep looking up for light and air. Human nature is heliotropic. To that end we hope the content we’re producing will prove interesting, inventive and timely. This hardhat blog is our face, until the full adobeairstream site goes live around June 1st. We’ve been at this in earnest (but not too earnest) since last summer.It all started with canvassing for the president and realizing, as we traveled New Mexico and Colorado, how diverse and fascinating culture really is. Not to mention the west. Culture is where we have the great conversations. The west is where we live and work. And new media is just so cool. Please join us, all you citizens of culture, for our new new media look at culture in the west. And don’t forget to comment early and often.